Release weight and toxins naturally, and feel amazing! Ditch ineffective diets that fail to produce results? Break free from unhealthy eating habits? Discover food sensitivities that may be preventing weight loss? Reduce nagging cravings for sugar, caffeine or alcohol? Feel more energy so you can live your life with passion and vibrancy? Hi! I’m Jeannie Oliver, Certified Health Coach, Fitness Nutrition Specialist, and Personal Trainer. I’ve developed this simple, effective 21-day detox to revolutionize your relationship with food, and reshape your body from the inside out! I know what it's like to struggle with depression, fatigue and exhaustion. For years I was convinced that I had a chronic illness because I'd been feeling sick and exhausted all the time; the tiredness, dark circles under my eyes, the lethargy - I didn’t feel like myself at all. What I discovered is that some of the foods I was eating were making me sick and sucking the energy right out of me. Food sensitivities were causing my constant fatigue and weight loss resistance. I also learned that the chemicals I was exposed to daily at my former job (working at Nordstrom next to the men's fragrance counter) were messing with my hormones and creating even more inflammation in my body. It was time to make a change. I wanted to do a detox but was skeptical of extreme protocols promising rapid weight loss and total body transformation in a matter of days. So instead, I decided to remove inflammatory foods, common allergens and chemical-based cosmetics and household products, and eat foods that helped my body rid itself of toxins naturally. Within a week, I had more energy than I'd had in years! I was finally feeling like myself again and I couldn't believe how quickly I could see and feel a difference in my body. I’ve developed the Reboot Your Bod Detox to help you do the same - finally experience more energy and take back control of your health! This simple 21-Day Detox Program reduces inflammation, fuels your body, and allows your body to release toxicity and excess weight, safely and naturally. Diets focus on calorie restriction and counting, neither of which are effective or sustainable long-term. 95% of dieters lose more muscle than fat, resulting in a slower metabolism, and eventually they gain back all the weight they lost and more. A healthy detox program assists your body’s natural detoxification process by eliminating inflammatory foods and toxic substances from your diet and environment. Your body stores toxins in fat cells in order to keep them away from your vital organs, so once these toxins are removed, your body can safely release excess fat. I’ll take you step-by-step through a simple detox that will make a huge difference in the way you feel and look. So, food sensitivities could be hindering my weight loss? Yes! Unlike food allergies, food sensitivities often go undiagnosed because they don’t always produce an obvious and immediate reaction. When you eat foods you're sensitive to, it creates inflammation in your body, causing it to retain fat rather than burn it as energy. Will I be hungry during the detox? No! Not if you’re eating enough of the right foods, and you can always add in a snack from my meal plans. These meal plans are packed with amazing (and easy) recipes that will likely become your favorites, even after the detox. I believe in real, delicious food. The Reboot Your Bod Detox program isn’t about starving your body, fasting, juicing, eating bland food, or taking lots of supplements. It’s about long-term effectiveness. I know it’s easy to fall back into old habits. While it’s easy to be motivated when we first begin living a healthy and nutritious lifestyle, life gets in the way and guidance can be necessary. Detoxing can be tough to do alone. I believe support is a key ingredient for getting you across the line. In detoxes I’ve gone through in the past, I often had questions along the way and wished I had a coach I could go to for direction. I want you to learn from the mistakes I’ve made. There’s no need for you to reinvent the wheel; I want to share the systems I’ve developed to simplify the process. Most people don’t know how to effectively use a detox to create lasting, long-term change; I’ve learned how, and I have the tools to share with you. What’s included when I sign up for the Detox? Simple Detox Guides & Cheat Sheets - So you know what to do and when. Daily Protocol - Easy to follow guides that you can stick on your fridge to help you stay on track. Mindset Workbook & Daily Journal - To help you get in touch with your body, emotions and your relationship with food. 3 Weeks of Meal Plans with Delicious, EASY Recipes - You won’t feel deprived with the amazing menu I’ve put together for you; I’ll let you know exactly what to buy and cook. Daily Support in a Closed Facebook Group - You’ll have my personal support and the support of fellow detoxers each step of the way, so you never feel stuck or like you’re in it alone. Transition Week - Guidelines for week 3 and beyond, to help you transition into your “new normal” without undoing all the wonderful changes you’ve made. Bonus 30-Minute Post-Detox Strategy Session With Me - We’ll talk one on one about what the right next step is for you so that you can extend the benefits of your detox. Together we’ll discover what’s at the heart of your challenges and health concerns, and work together to help you create lasting change. I’ll help you dig deeper and take control over your life, so you can start feeling like the amazing person you are! I look forward to supporting you during your detox! Jeannie Oliver is a Certified Holistic Health Coach, Metabolic Effect Fat Loss Coach, NASM Certified Fitness Nutrition Specialist and Personal Trainer. Originally a biology major at Seattle Pacific University, Jeannie's love of food then led her to Seattle Culinary Academy where she completed both the culinary arts and pastry chef programs. As a self-proclaimed foodie, Jeannie loves sharing how to make nourishing food that is both healthy and delicious. Through her own "health adventures" over the years Jeannie developed a passion for natural healing and learned the power of food as medicine. Recognizing her desire to help others overcome their own health challenges, Jeannie decided to study nutrition at the Institute for Integrative Nutrition and completed her Personal Training and Fitness Nutrition Specialist Certifications with the National Association of Sports Medicine. 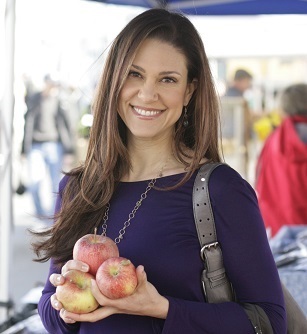 She now combines her love of science, wellness and food to empower patients and help transform their lives.